Healing With Color By: Nora Yolles-Young, C.Ht. With all this talk out there about cleansing, purifying and purging ourselves of the last vestiges of the 3rd dimensional reality or as they refer to in the Law of One material, third Density, it’s tough to get any relief from the continual energetic onslaught that many of us are experiencing. Whether it be solar flares, detaching from fear and war paradigms or managing the calm center in a sea of chaos. As a hypnotherapist and holistic life coach, I get the chance to work with people who are experiencing this profound paradigm shift on all levels and in infinite permutations. The number one complaint I get from clients is their frustration around the struggle to shift stuck negative thinking in a way that is quick, easy and foolproof. People are so busy with their daily lives that taking time away from work, family obligations, errands, etc., to hold the light and BE the peace enough to manifest a new Golden Age into physicality is often too overwhelming to contemplate, let alone manage and maintain. This brings me to my technique. My favorite thing to do is to help people come by offering fun and creative ways to shift consciousness and generate upliftment from within. In hypnotherapy, the general goal is to create change without having to actually “think” about it. To heal effortlessly. To connect with the subconscious aspects of self so that new more aligned and appropriate internal agreements can be made. To literally overwrite the outdated programming. This may seem daunting at first blush, but I assure you, it’s as easy as daydreaming! Perhaps you are the type of person that gets thrown off by bad traffic, or maybe there is a person in your life that causes you to doubt your spiritual progress every time you run into them or hear their name! Rest assured, we all have those people in our lives! So what is a well intentioned spark of the divine to do? This is one of my all time favorite techniques because it can be used anytime and it just takes a few moments and what’s more, it utilizes the parts of us that are most fun to play with! Imagination and color! Here is the cool part. While focusing and acknowledging that this thing has got a hold on you, mentally scan your physical body to notice where in your body you have corresponding tightness. It often has a distinct location and can very commonly be associated with one more more chakras. As you tune into the location(s) of the tightness, see it with your inner vision or with your ability to pretend by using imagination to visualize the shape and color of this tightness. Be sure to keep breathing easily. Next and without judgement, imagine a rainbow spectrum of color before you. 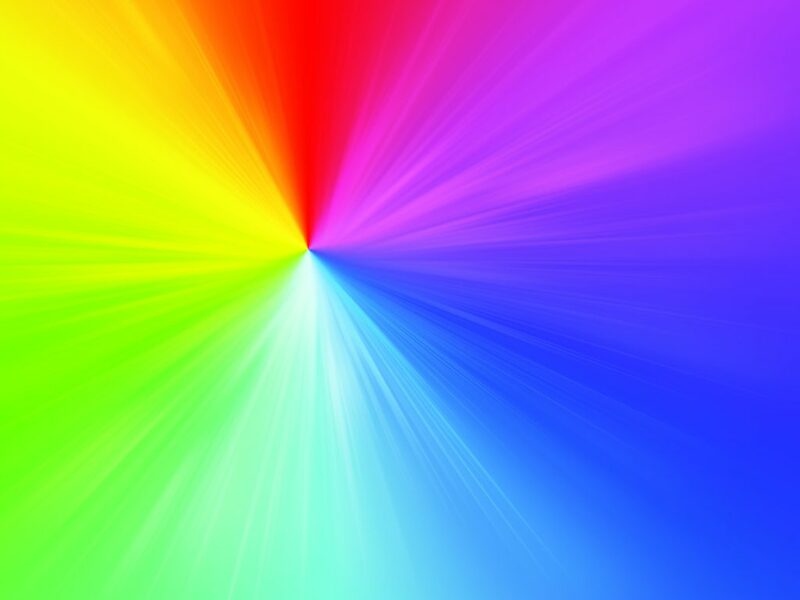 This rainbow is intelligent energy and can work easily with your own mind, body, spirit to create powerful shifts. See the energy interacting with the tightness. Notice what color(s)interact and interface with the blocked tight energy. See the color(s) work in cooperation with the block to shift and transform it; whatever that means to you. This process will be unique to you. There will be no correct or incorrect way to do this. Usually, this is all that is needed to release the blocked energy. Sometimes more deeply entrenched energy takes more time. If more remains, that is okay. All that is needed at this time is a noticing of what is taking place. Now, take a deep breath. Make sure you are grounded to the planet, and continue on with your daily routine and praise yourself for taking the opportunity to take care of yourself and simultaneously heal the planet. Previous Post Pre-Order My New Book Healing Effortlessly Today!